Intriguing Hair selling high quality Brazilian Bodywave wig extensions, hairstylists, celebrity hair extensions online at affordable price. Free Next Day Shipping. Shop Now! Our oldest texture. It is important to state this hair does not get curly when wet. Brazilian Bodywave holds curls longer than Brazilian Straight. When compared to Malaysian Bodywave it is slightly silkier. This hair can also be easily flat-ironed bone straight. It is not meant to be left in its natural state. It does have to be styled. Once styled, most clients use flexi rods at night to maintain the hairstyle. We have clients that have worn the same batch for several years. 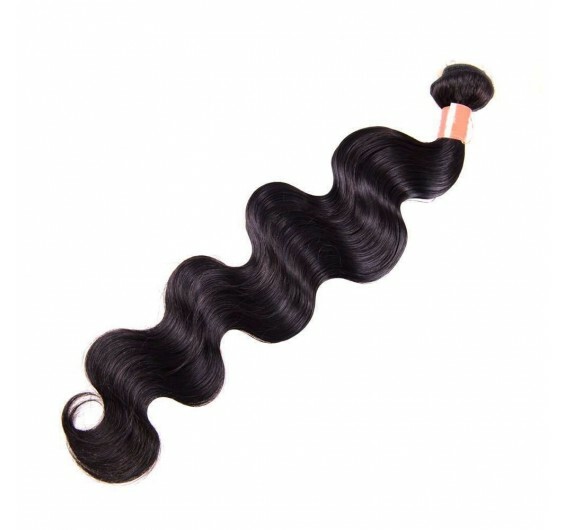 A sultry wave pattern gives an exotic look to our Brazilian body wave hair. Made from premium unprocessed virgin hair, these bundles are silky smooth with luxurious texture and shine. Intriguing Hair’s affordable Brazilian body wave hair offers superior quality at a fair price. These extensions are designed to last wear after wear and will resist shedding with proper care. Our Brazilian hair bundles are also easy to style. Flat iron it for a sleek, bone-straight look or curl it any way you desire – the choice is yours! These Brazilian hair bundles hold any style really well, and best of all the hair will not get curly when wet. Each Brazilian body wave hair bundle weighs 3.5 oz. We recommend purchasing two bundles for lengths 16” or less, three bundles for 18-24” lengths, or four bundles for 25” or longer. Please select length and add on any customizations you would like above. We recommend using flexi rods to maintain the curl. All our hair is 100% virgin hair. Allowing our to be dyed and bleached. Can be purchased in lengths 12-30 inches.